Business Matters is a regular series where entrepreneurs share what matters to them. Generation T lister Ivan Pun has reputation for being a consummate host and the life and soul of the party. But don’t mistake him for a party boy. 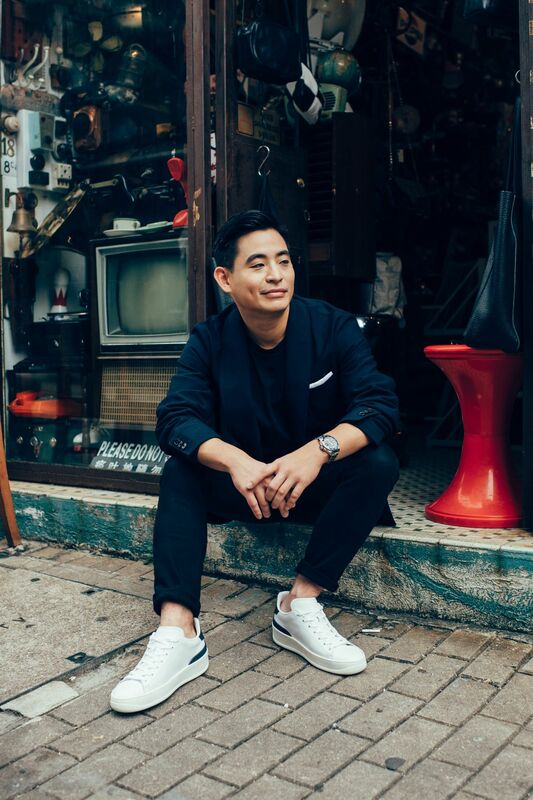 The hardworking Hong Konger, third son of Myanmar property tycoon Serge Pun, works across restaurants, art and culture with his multinational lifestyle venture Pun + Projects. The company operates F&B outlets—including ‘restaurant on holiday’ Port Autonomy—and spearheads creative ventures designed to aid the cultural rejuvenation of downtown Yangon. His latest project in Hong Kong is Hawkr, a fast-casual restaurant serving Southeast Asian classics, which Pun launched with Jake Astor and Korean chef Mina Park. The chain is expanding rapidly, having opened two locations in the last six months and with plans for a third in the pipeline. Here, he tells Generation T what matters to him. I was raised between four different cultures: Hong Kong, Thailand, Myanmar and Britain. I think it makes you more versatile. When you’re constantly moving between cultures, you just become used to the constant contrast. It really influences the way you do things and gives you very broad views and interests. Hong Kong is always going to be home, but Yangon is also a very special place for me. I’ve lived there for the past six years and it’s the place I began this entrepreneurial journey and done projects I’m most excited about. Photo: Courtesy of Ivan Pun. What Have The Hong Kong 2016 Generation T Honourees Been Up To? I worked for my father’s company for about four years. It was a great experience working there. A lot of the time, even if you’re not directly being taught anything, you learn by osmosis. I really enjoyed observing [my father], and the rigorous approach he took to his work. That became a very useful lesson for me when it came to doing my own work. But I decided to go in my own direction. Even though my family’s business is very diversified, there wasn’t really an area that I felt was suited to my skillset. I’m a creative person, I’ve always enjoyed being in the creative industries, so in order to pursue that interest it was natural step for me to go out on my own. Ivan Pun at the Port Autonomy pop-up at Potato Head during Art Basel 2018. Pun + Projects has evolved into an F&B company, but it began in Yangon with a particular interest in art and design. When I first moved there, I thought the city had so much potential. TS1 was really the beginning of our journey. It started out as a space but now it’s a non-profit initiative that does one project a year, bringing some kind of art or culture to Yangon. This year we’re bringing Parasite’s new exhibition through, by Cosmin Costinas. The ultimate ambition with Pun + Projects is to be an agent for creativity and change in Yangon, creating opportunities for development that will help rejuvenate the area, whether it’s through food, art, community projects, or festivals. Ivan Pun with Mina Park and Jake Astor outside the first Hawkr location. When it comes to the ideal work-life balance, I think if you start working on the things you love, it just becomes your life! I feel for me there’s no ‘work’ and ‘hobbies’—they’re all blended into one. Ultimately, you have to love what you do. And that’s the only way to succeed, if you dedicate that time and passion to it. That’s my approach. I don’t have any regrets. I think life is full of experiences that you learn from, but I’ve recently realised that you do save a lot of time if you’re strategic from the beginning. In my life, I’ve spent a lot of time going around in circles just because I went and did things spontaneously without having a plan. I probably could have been more efficient if I’d thought more carefully about the steps. Hawkr locations can be found in Quarry Bay and Pacific Place.